The South Texas Project Electric Generating Station (STPEGS) is one of the newest and largest nuclear power plants in United States . The plant is located about 90 miles southwest of Houston on a 12,220-acre. 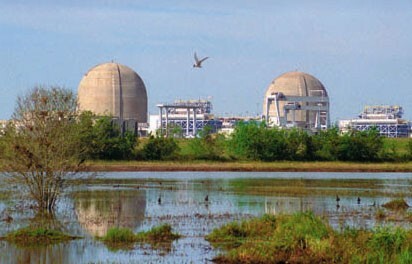 STP's reactors went online in August 1988 and June 1989, produce 2,500 megawatts of electricity, serve more than one million homes in south central Texas. STP leads all U.S. nuclear plants in the amount of electricity its reactors produce.